I bought this card to go with a gift for someone today. I think that sentiment just about sums it up – even though you have your challenges in life, there is always some icing to be found! The gift I gave the card with was a book I have bought before, called 365 Grateful. I do recommend it. Just a little book that emphasizes the importance of finding things to be grateful for everyday, especially when you are going through tough times. I’ve found it helps to change my perspective when I look for the positives and acknowledge them to myself. At the core of it, as the book says, the secret to happiness, or at least peace of mind, lies in reflection and gratitude. 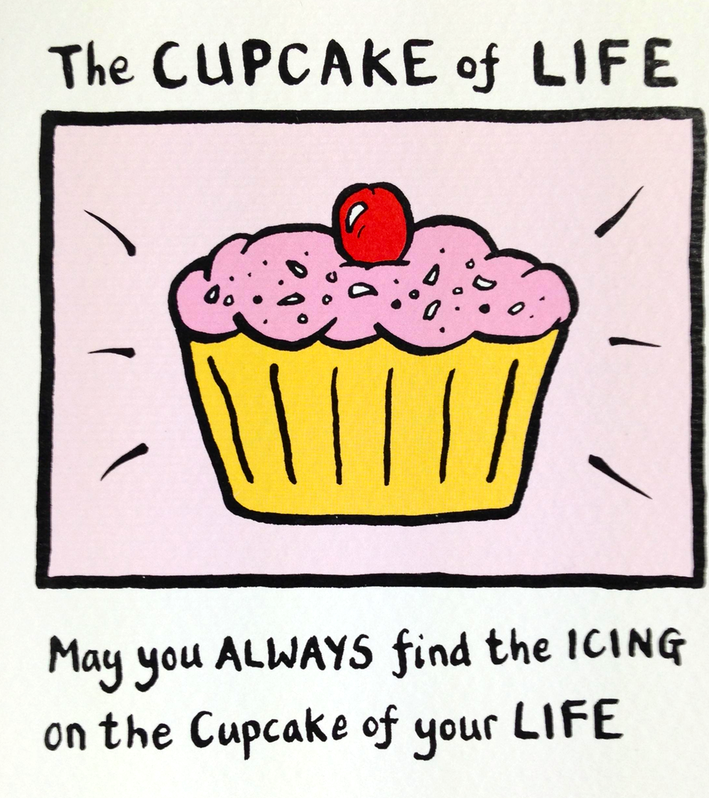 So my happy new year wish is that we all find the icing on our cupcakes each day. It helps to make life so much more enjoyable for yourself, first and foremost, and for those around you too. Yes, let’s acknowledge when things are challenging, we can’t live in denial! But we can all try to do our best throughout the challenges and focus on the positives as well. With love and good wishes for a happy 2014 to all of you, and special thanks to those who have reached out, and sent me love and good vibes in 2013 too.